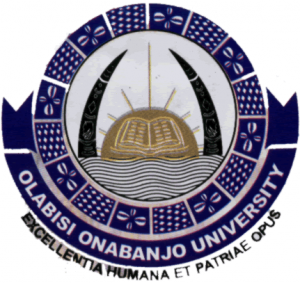 Applications are invited from suitably qualified candidates for admission into the Postgraduate Diploma and Degree Programmes of the Olabisi Onabanjo University (OOU), Ago Iwoye for the 2017/2018 academic session. Professional Master Degree ProgrammesApplicants shall normally possess not lower than Second Class Honours (Lower Division) Degree of the Olabisi Onabanjo University or other approved University or a Higher National Diploma at not less than Lower Credit level or a Third Class University Degree with a Postgraduate Diploma in relevant field(s) and/or fellowship of relevant professional body. Five (5) O’ Level Credit including English Language, English Literature and Mathematics. Five O’ Level Credit including English Language, English Literature. Candidates with Master of Laws (LL.M) of other Universities with at least 3.00 Cumulative Grade Point Average (CGPA) with be admitted through M.Phil./Ph.D. Holders of a classified Pharmacy degree not below Second Class Honours (Lower Division) or CGPA of not less than 3.00 may be admitted. For admission into any of the Programmes, possession of National Youth Service Corps (N.Y.S.C.) Discharge/Exemption/Exclusion Certificate issued by the Directorate is compulsory (if a Nigerian). All Applicants are to request their Institutions to forward the Academic Transcripts of their Higher National Diploma / 1st Degree / Postgraduate Diploma / Master Degree to the Secretary, Postgraduate School, Olabisi Onabanjo University, Ago-Iwoye not later than Friday, 30th June, 2017. Completed Application Form and Acknowledgement Slip/Photo card are to be submitted to the Secretary, Postgraduate School and to the relevant Department not later than Friday, 30th June, 2017. (i) Point of Sales (POS) at the Postgraduate School, Main Campus, Ago-Iwoye or at any of the University Campuses at Aiyetoro, Ibogun and Sagamu/Ikenne). Applicants are to visit http://pgs.oouagoiwoye.edu.ng/portal/application/apply.php for further details. All completed applications should reach the Secretary, Postgraduate School not later than Friday, 30th June, 2017.